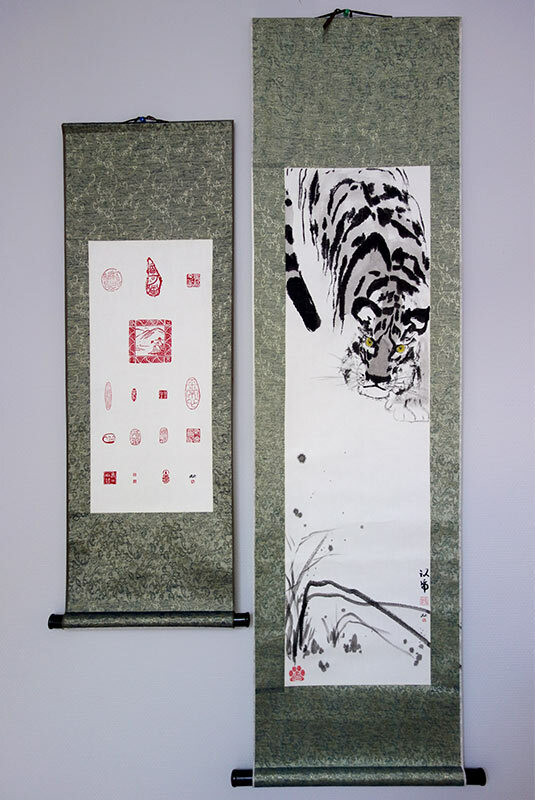 My two scrolls - special created painting and scroll with my seals chops - took part in High Mountains Flowing Water exhibition. 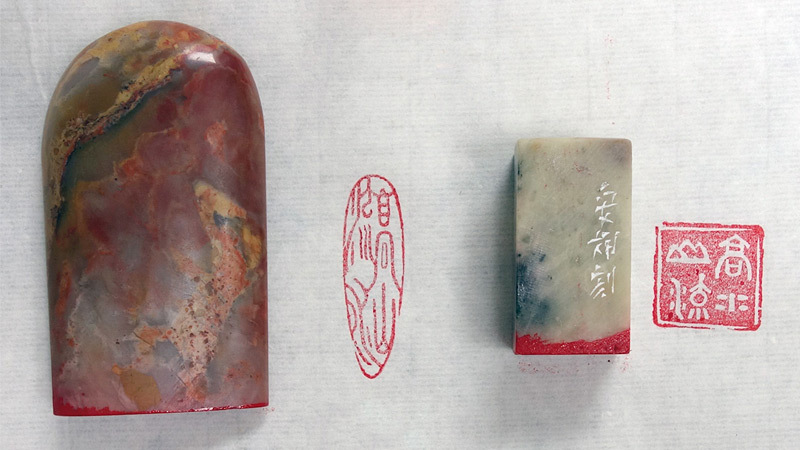 I also carved two special seals "High Mountains Flowing Water" and created all the posters and other advertisment design. Square seal is available (on the right on the photo).